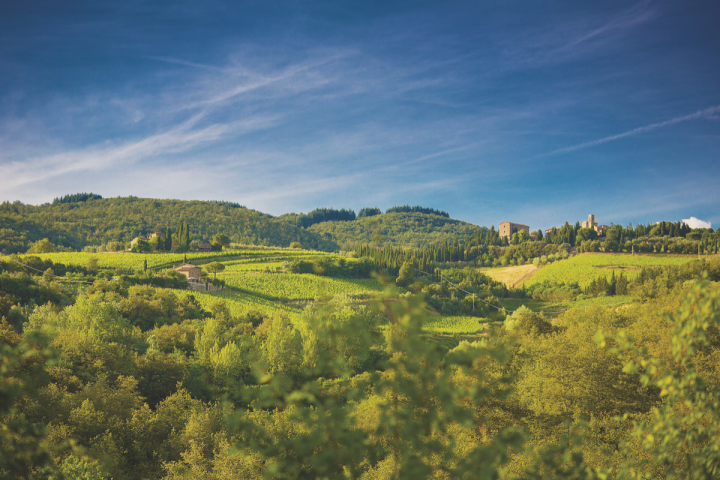 The Chianti Classico producer innovates while staying true to its past. Castello di Volpaia owns 43 acres of vineyards (pictured) in the heart of Italy's Chianti Classico DOCG. The winery first started producing wine in 1172, and was a founding member of the Chianti League. Today, the Mascheroni Stianti family owns the winery and two-thirds of the village. Although Tuscan winemaker Castello di Volpaia is widely recognized for its portfolio of upscale Chianti Classico labels, in recent years the winery has spread its wings with Prelius, a larger-volume brand produced from 12 acres of land in the coastal Maremma Toscana DOC. Initially launched in 2007, the Prelius lineup includes 100% Vermentino and 100% Cabernet Sauvignon expressions. Both wines are certified organic and priced at $16 a 750-ml. The brand is aimed at restaurant and wine bar accounts—its Cabernet Sauvignon is 84% on-premise—with a target by-the-glass price point of $10. Wilson Daniels, Volpaia’s U.S. importer since 2007, distributed 60,000 bottles of Prelius to 46 markets in 2016. Volpaia is gearing up to launch its third Prelius label, a red blend, later this year. The new wine—which has been in production for a few years—will integrate Cabernet Sauvignon and Merlot with a touch of Sangiovese. 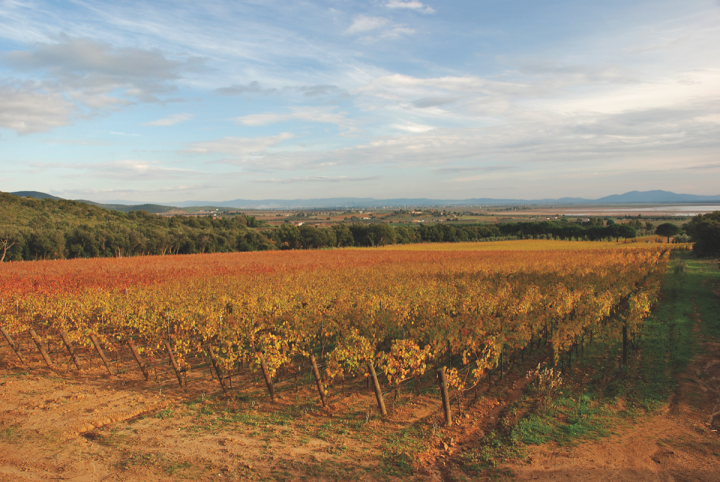 All of Volpaia's wines, including those sourced from the Maremma Toscana DOCG, are produced at the winery's headquarters in the Chianti Classico DOCG. The estate’s flagship Chianti Classico ($21 a 750-ml.) is the key driver. Chianti Classico Riserva ($29) and a number of single-vineyard wines—Coltassala ($70), Balifico ($70), and Il Puro ($151)—round out the lineup. Il Puro in particular represents yet another designation within the Chianti region. The wine is labeled as a Gran Selezione, a new quality tier created in 2013 that sits one spot above Riserva in the Chianti hierarchy. According to Mascheroni Stianti, the new designation serves to further elevate the Chianti region by enforcing even higher quality standards and aging rules. As a result of the outstanding 2015 growing season, the 2015 vintage of Coltassala will also be branded a Gran Selezione. Volpaia's Prelius label (vineyards pictured) includes certified organic wines that are aimed at restaurant and wine bar accounts. 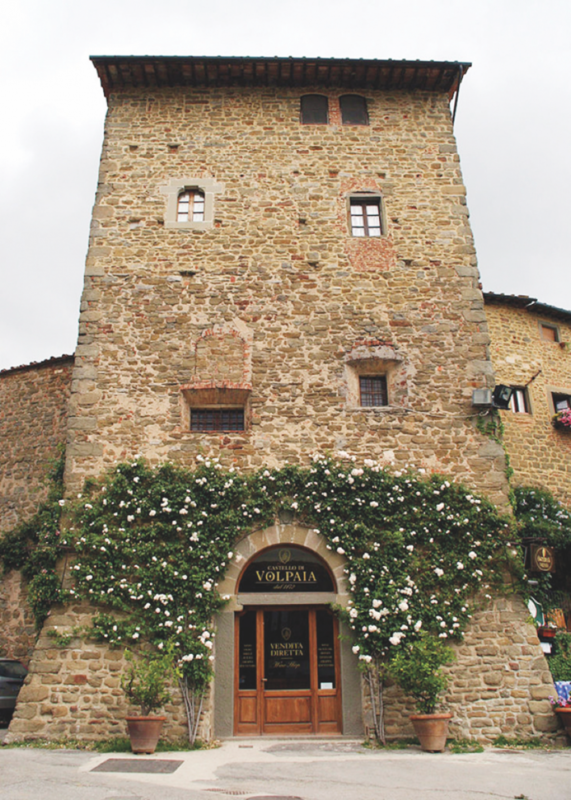 Volpaia’s organic ethos extends well beyond the vineyard, and is evident in its namesake village as well. First settled in the 11th century, the village today maintains its medieval layout, with many of its original structures and a section of its protective wall still in place. Behind some of those ancient stone façades lies modern winemaking technology—the winery conducts renovations by taking rooftops off to preserve the delicate walls—and electrical wiring runs almost exclusively underground. This is thanks in large part to the Mascheroni Stianti family, which owns two-thirds of the village and has long worked to preserve its historic nature. “We want to give life to the village, and keep it there,” Mascheroni Stianti says. “If we moved our business to a different area, it would become a ghost village, no more than a touristic theater.” Indeed, local residents largely rely on the tourism and commerce that the winery attracts, and many contribute to the winery in both direct and indirect ways. Though inclement weather negatively affected the 2017 harvest and resulted in a 30% decline in production, Volpaia generally produces around 20,000-25,000 9-liter cases annually, 10% of which are IGT rather than DOCG. Across all of Volpaia’s wines sold in the U.S., depletions were up 37% in the 12 months through September 2017, and Wilson Daniels expects that growth to continue this year. Looking ahead, Mascheroni Stianti believes Volpaia’s dedication to certified-organic winemaking will continue to pay dividends, and she projects that the launch of the new Prelius red blend will drive further progress for the estate.